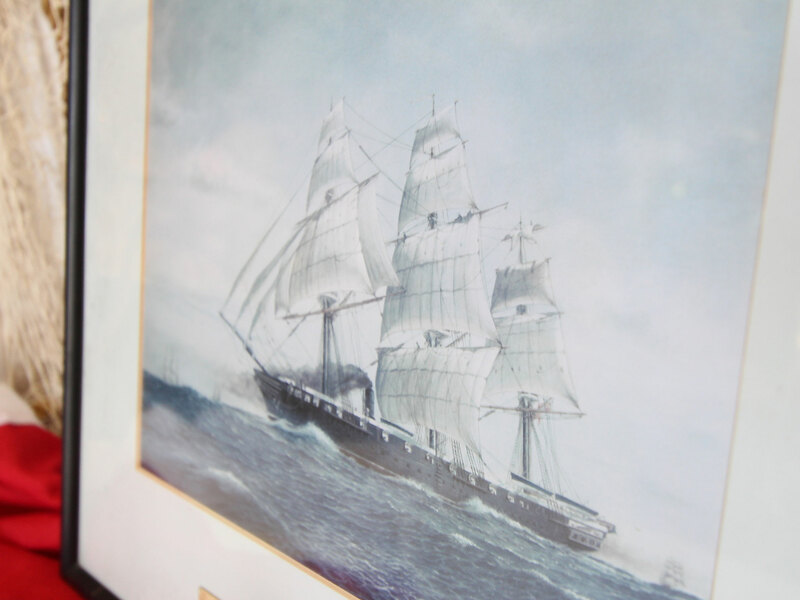 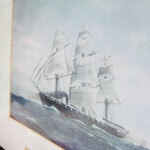 This lithograph of the HMS Orpheus was taken from a painting by Gainor Jackson. 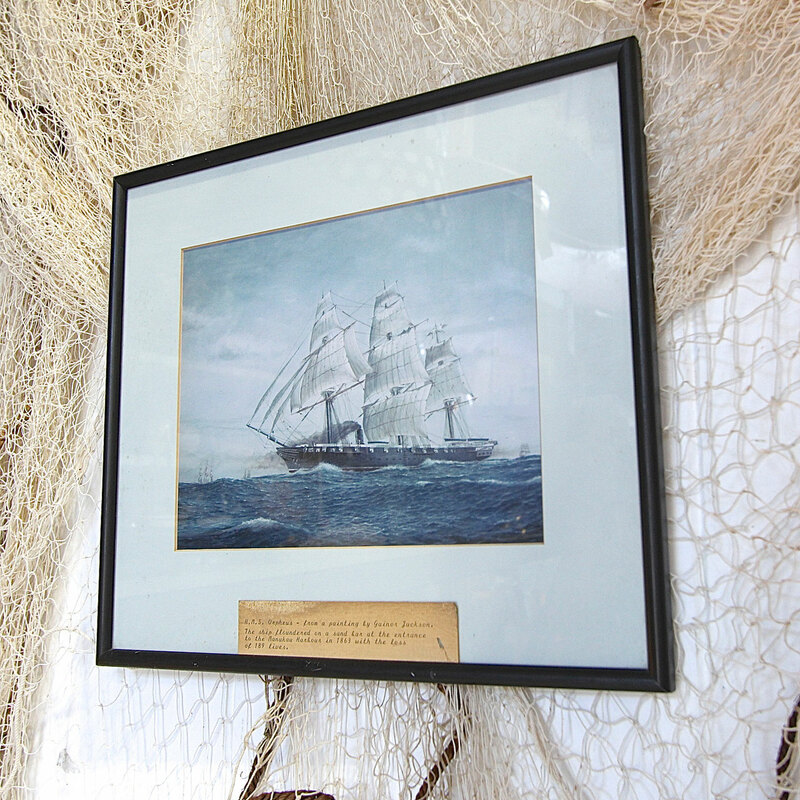 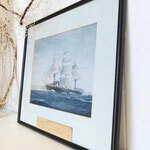 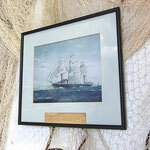 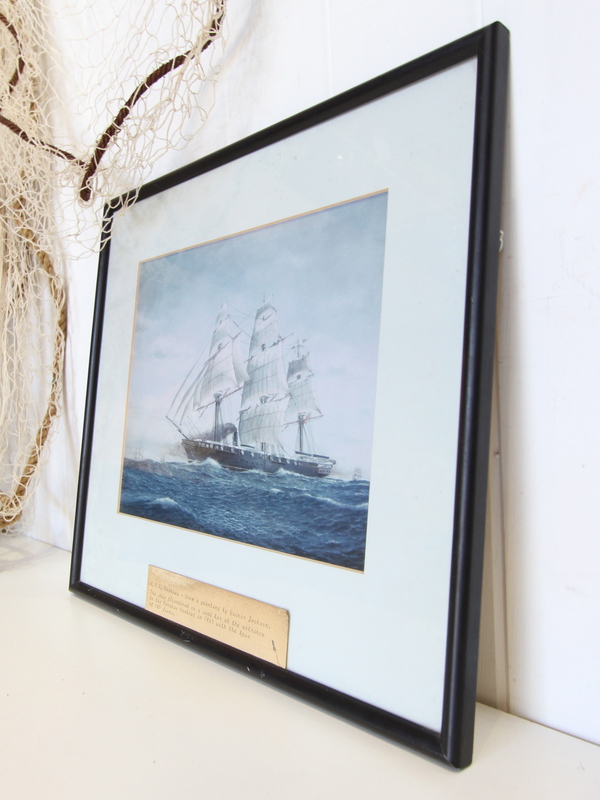 It features fabulous moody blue tone, beautifully suited to a nautical or coastal themed interior. 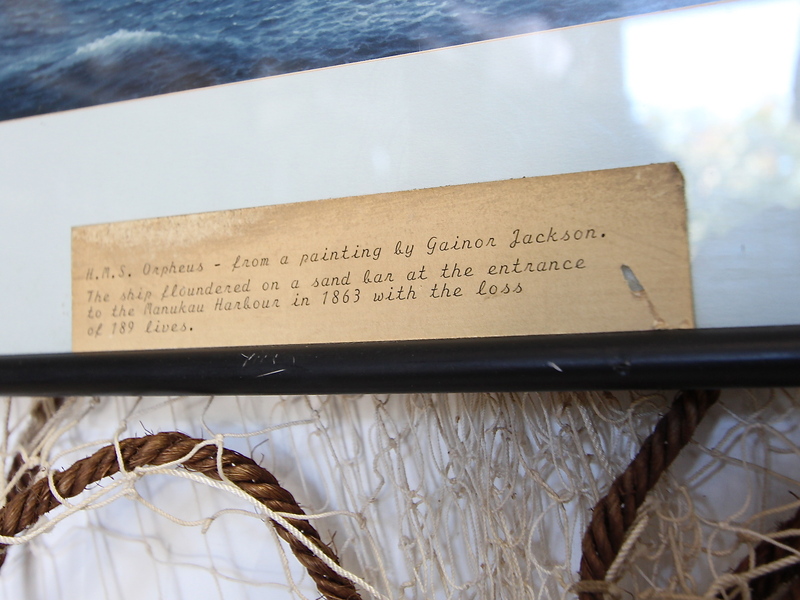 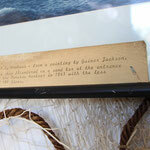 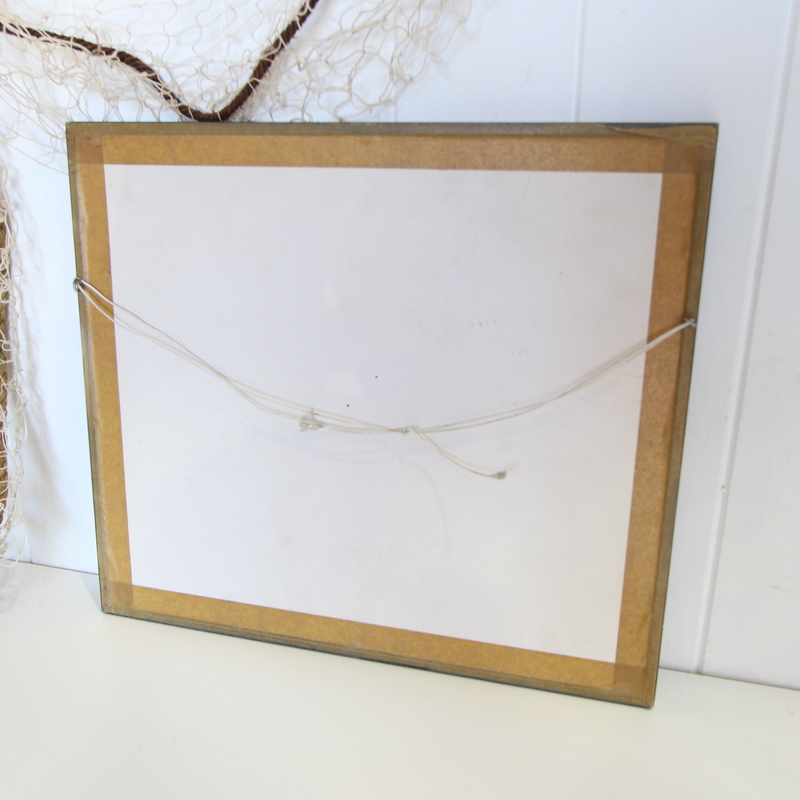 The Orpheus came to grief on a sandbar in 1863, and the frame contains and old piece of paper with some details of that days events.